(Synopsis) Tristan Pierce left the family business to carve out a life of his own, but never forgot his passionate affair with the much younger, inexperienced Sydney Green, or the hurtful break-up that tore him apart. When he’s forced to return home and face his past, will he be able to carve out a future, or will lies ruin his second chance at love? 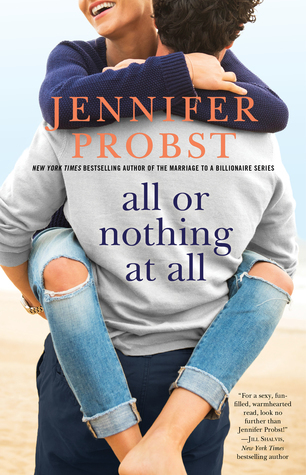 I love Jennifer Probst, and I have thoroughly enjoyed her Billionaire Builders series. I'm sad to see it end, particularly on this note. See, I've been looking forward to Tristan's story since the beginning. He's always been so buttoned up and proper. I just knew that, of the three brothers, he'd be the most filthy when behind closed doors. And I was right. Too bad he ended up being such a jerk. Interestingly enough, Sydney surprised me just as much as Tristan did. 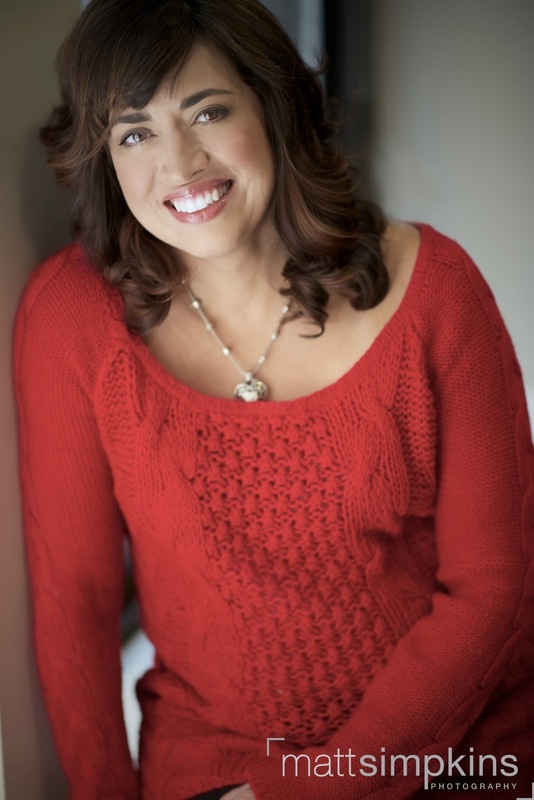 Through the first two books, I always liked her and how good of a mom she was to her 5-year-old daughter Becca. She is the office manager for Pierce Brothers construction, and she's really good at her job. In All or Nothing at All, she takes the initiative to make incredible strides in her career, and I was cheering her every step of the way. However, when I found out that Sydney had known that Tristan was Becca's father since the moment she found out she was pregnant and never told him, I lost all respect for her. The secret baby trope might be some people's cup of tea, but it's definitely not mine. Except in extreme circumstances, fathers should always be given the choice to be a good dad. If they squander that choice, then more power to the single mother. But, he can't make that choice without knowing he has a kid in the first place. I appreciate that Sydney made the choice when she was pregnant not to tell Tristan about the baby. I understand her reasons - I just don't agree with them. But, that's an aside. Tristan has been back in town for more than a year and has made it clear he's home to stay. Sydney had that entire time to tell him that Becca is his, but she chose not to. That's not a character I can get behind. So, I spent the first half of the book championing Tristan and hoping he found out he was a dad soon. Except, when he does find out, his reaction is so far away from what I knew about him as a character so far, it was genuinely upsetting. He is ruthless, cold and so mean to Sydney and goes so far as to blackmail her into marrying him so that Becca had the illusion of "family." How completely messed up is that? He has resolved that he could never love someone who has screwed him over so thoroughly, yet, he is okay with getting his rocks off with her and forcing her to sleep in the same bed as him so that Becca doesn't suspect they are anything but a picture-perfect family. And the strong Sydney from the beginning is nowhere to be found. She goes along with the possibility that she will never be loved in her life, that her body will be used to slake a need and that she will be lying to her daughter forever. There were a few shining moments in All or Nothing at All. Tristan as a dad was a complete delight. I loved catching up with Caleb, Dalton, Blake and their women. And the ending was really sweet. Also, this IS Jennifer Probst, so the writing is awesome and the pace was perfect. I just didn't care for the story so much. And I think a lot of it is just personal taste. Those who love the secret baby trope will love this book, and if that's you, I encourage you to check this one out.